If you feel random freezes in Windows 7 64 Bits or random freeze in Google Chrome, FireFox, IE8, IE9. I’m sure is the problem of your hard disk. You need to try few of the hard disk application tools or utilities to check out the error. I did to use scan disk and other disk scanning tools that scanning in Vista. I can’t find the solution of it, so I decide to format and do clean install to Windows 7 64bits. But I get the same problem – random freezes again. I keep find the solution in internet, and I found the tools HD Tune Pro. You could download using Vuze for the newest version. Try to view the S.M.A.R.T first see weather have Raw Read Error or Raw Write Error or Current Pending Sector. If the data is showed that more than 0, means you have problem of your hard disk, you shouldn’t use the hard disk to store important data. Try to do Error scan, I’m sure you would have some bad sector on it. So, I found the bad sector and I’ve already sent my hard disk to claim. 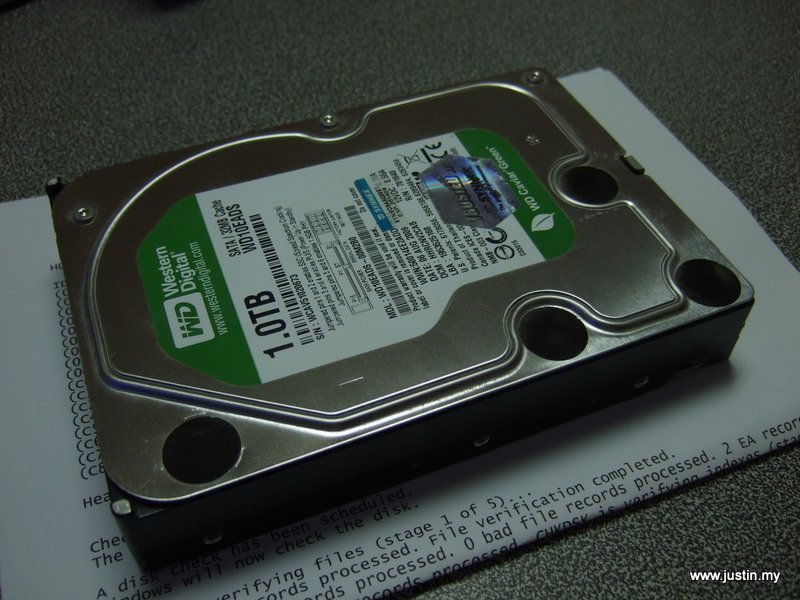 One important things that you need to do before send your hard disk to claim. I suggest you to clone your HDD to a new one, using Acronis Disk Director 11 that you can download in Vuze too. After cloning your HDD. Try to un-partition the old HDD and Erase with zero-fill in HD Tune Pro. Because if you only format the HDD, technician or other people can retrieve your data from your HDD. Make sure you clean your data before pass your HDD to anyone. Normally HDD do have 3 years or 5 years warranty. I was using WD10EADS, I’ve send to the computer shop to claim. Now I’m using the newest WD Caviar Green WD20EARS 2TB SATA Transfer Rate 3Gb/s IntelliPower Buffer 64MB. It is smooth and without any problem. My motherboard is Intel DG35EC that support up to 8GB Ram, so I’ve upgrade increase another 2GB of RAM, KINGSTON DDR2 RAM 2GB PC6400 (800Mhz) KVR800D2N5/2G, now I’m using 6GB of them. I’m happy with them.